Conroy participated in a program called the Disney College Program, which was a dream of hers since high school. The program began in August and lasted until January, and while there she had the privilege of working at one of the four parks, Epcot, as a park operations cast member. Anna shares, "I operated the ride 'The Seas' with Nemo and Friends, which was a Finding Nemo ride where guests would sit in shells and go through the scenes of Finding Nemo. I also acted as a hostess for the show, Turtle Talk with Crush, where Crush the turtle would interact with the audience and have conversations with kids. I had the most amazing time working in Epcot, as I also had the privilege of setting up the nighttime firework spectacular viewing area." Outside of the working component, Conroy lived in Orlando, FL in Disney housing with college students from all around the world. Two were international students from Auckland, NZ and Lincoln, England, and they have all become lifelong friends. She was also given the opportunity to take a course in human resources at Disney University and learn about the recruiting processes of the Walt Disney Company as a whole. She concludes, "I encourage every single student to participate in a working or learning program which is outside of their comfort zone and further away from home, because the amount of growth you experience is extremely rewarding and life changing. 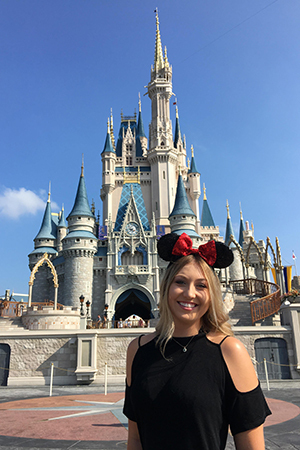 The people I was able to connect with have provided me with an entire network of individuals that have shared the Disney experience, and I have no doubt that each learning and working experience provides students with the same benefits." 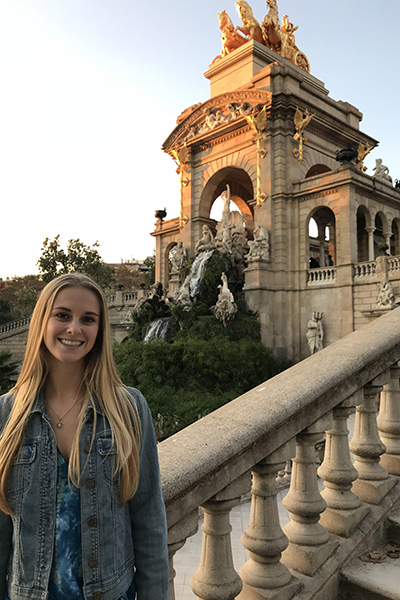 Archambault studied abroad in Barcelona in fall 2017. 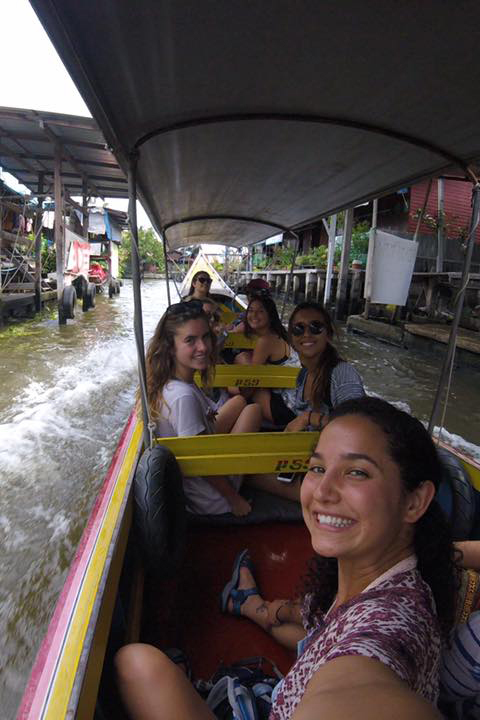 "My study abroad experience was unlike anything I have experienced before. I was forced to immerse myself into the culture, which was challenging but very rewarding in the end. I experienced some ups and downs, which made me develop more as a person. I traveled to five separate countries experiencing some incredible views and experiences that I have always longed for. 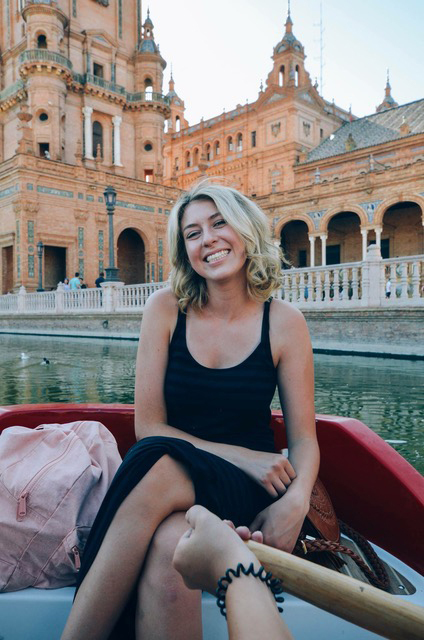 I highly recommend studying abroad, and Barcelona is such an amazing city to do it in." Mahaffey is currently studying abroad for the 2017-18 academic year in Denmark. She shares, "Spending an academic year studying in Denmark was probably the most nerve-wracking yet ultimately rewarding experience I’ve had. After nine months, Copenhagen and its surrounding municipalities have really begun to feel like home—study abroad is unlike any other travel experience because it allows you to bridge this gap between tourist and (temporary) resident. I love Denmark not only for its stunning palaces, delicious pastries, colorful buildings and canal views, but also for the things that you only experience when living here long-term, like spending “hygge” time with my host family, going for runs around the Copenhagen lakes, attending monthly trivia nights at the student union, and interning in a Danish folkeskole (elementary school). 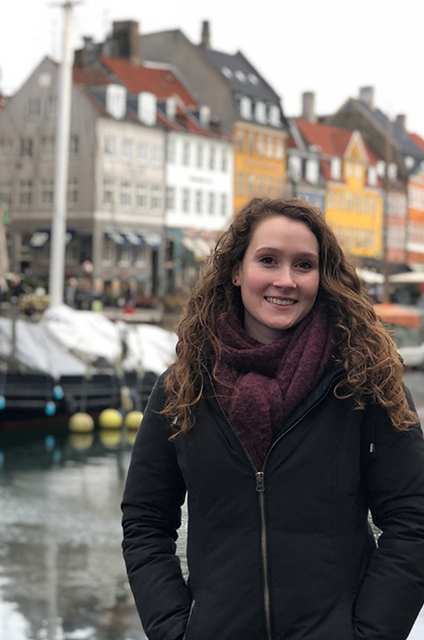 Living in Denmark has given me the opportunity to discover capabilities I didn’t know I had, make amazing lifelong friends, and experience both child development and life in general in a new cultural context." Silveira went on a summer study program to Thailand. "Words can't even begin to explain how incredible this experience was for my cultural awareness as well as personal growth. With a group of about 30 Cal Poly students and an outstanding professor, guide and mom for the summer, Dr. Stacey Rucas, we had a jam-packed five weeks that felt like 10. It couldn't have been more Learn by Doing, as we trekked past waterfalls and rice fields to visit the hill tribe, went to the Golden Triangle and across the river to Laos, spent a night with a host family in an eco-village, cruised around the bustling city of Bangkok, visited countless temples and museums, including some that are rarely known by tourists, and even spent a week in Cambodia. At Chiang Mai University, Dr. Rucas taught us behavioral ecology, and various Thai professors lead us through cooking classes, as well as through learning the Thai language and about the family structure, roles and norms. Throughout the five weeks, I witnessed my cultural competence grow as I critically examined the cultures that I've come from and the cultural ways of the Thai people. As a child development major, this is a crucial skill to have; because, as we've learned time and time again, children do not grow up in a vacuum; rather their development can only be understood within their social and cultural context."